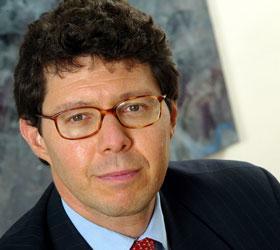 A renowned expert in geo-political risk and international economic policy and trends, Doug Rediker represented the United States on the Executive Board of the IMF until 2012, having been nominated by President Obama and confirmed by the US Senate to that post. Since leaving the IMF, he has become well-known for his "Top Ten Geo-Economic Trends", in which he surveys, analyzes and interprets global events through a prism that highlights political and economic risks, opportunities and outcomes. 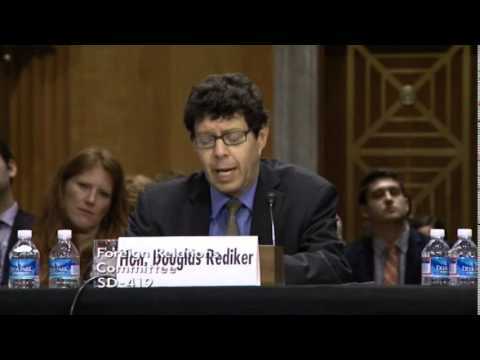 Rediker currently serves as a Visiting Fellow at the Peterson Institute for International Economics, a Washington, DC-based nonpartisan research institution widely considered as the most prestigious think tank of its kind. He served as the most recent past Chairman of the World Economic Forum Geopolitical Risk Global Agenda Council and currently serves as its Vice Chair. He has moderated and participated in panels at WEF events in Davos on geo-economic risk, capital markets, the international monetary system, emerging markets and global governance issues. He previously served as Senior Fellow and Director of the Global Strategic Finance Initiative at the New America Foundation. Rediker offers unparalleled perspective and actionable insight on today's most complex global economic issues. Sixty-plus years ago, John Maynard Keynes and Henry Dexter White put their stamp on the world’s post-war economies by establishing the IMF – a major step forward in managing the global financial system. But today’s global economic problems present the IMF with enormous challenges that raise the question of whether the institution is up to the tasks before it. How does the institution really work? How does it relate to the world’s central banks, finance ministries and countries that require its financial help? And who, exactly, pays the price if it all goes wrong? The Director of National Intelligence recently warned that: “the primary near-term security concern of the United States is the global economic crisis and its geopolitical implications.” But while global economic risks raise serious financial, security and foreign policy implications for the United States, the government is seemingly constructed to avoid strategic thinking on these issues and, in fact, to keep those various disciplines separate from one another. Can the US think and act strategically about economic, security and foreign policy? Is economic statecraft even possible? Two decades ago, Europe suffered from slow growth, fragmentation, inflation and frequent currency devaluations. The introduction of the euro was supposed to change all of that, and for a while, it did. Now, it appears to all be coming apart right before our eyes – playing out on the front pages of the newspapers, complete with defaults, unemployment, bank closures and last-ditch political deals to keep it all together. It’s an exercise in can kicking and in avoiding the tough decisions. And yet, Europe has remained intact and those who bet against it got it wrong, as policy-makers did just enough and central bankers promised whatever it takes. How did Europe get here, where is it likely to go next and what can be learned? Global headlines are hard to follow. It’s even harder to truly understand how global events affect one another, what lies behind the stories and what is likely to happen next. Today’s global events are driven by an increasingly complicated balancing act between domestic, regional, multilateral and international forces. In a rapidly changing world, the decisions taken by politicians, policy-makers, bankers and bureaucrats are more likely than ever to result in dramatic and immediate economic consequences, risks and opportunities across the globe. This global survey can be tailored to take a truly global approach or to focus on specific areas of interest.